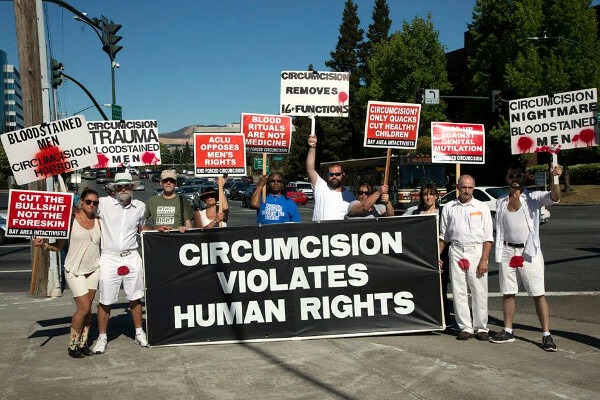 Bay Area Intactivists in conjunction with Bloodstained Men & Their Friends will hold a peaceful protest outside San Ramon Regional Medical Center at the intersection of Alcosta Blvd & Norris Canyon Rd to condemn the forced genital cutting of children. Limited signs will be available or you may bring your own. There will also be literature available for protest participants to distribute.